Do you appreciate getting a paycheck for the work you do? How about when you get a thank you for cooking dinner or an acknowledgement and some extra time off from the boss because you went above and beyond on a project? On the flip side, how do you feel if no one notices that you're putting in effort, or you've done a little extra on a project? It is challenging to remain motivated if you're not gaining anything in return. 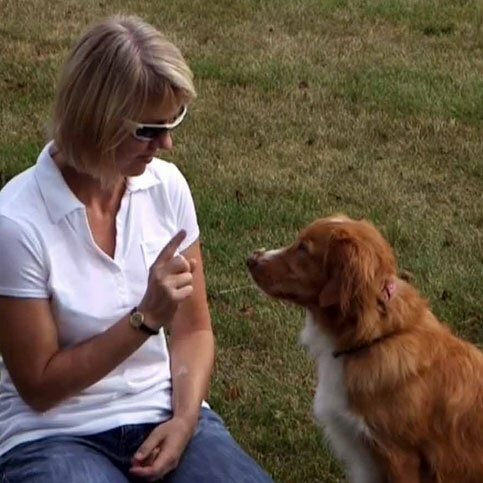 All of us, dogs included, perform behaviors because of what we get in return. Either the behavior is rewarded or not. Rewarded behavior continues. Interrupted, punished or ignored behavior fades away. The thing is, what is rewarding to one might not be rewarding to another. While I might like a monetary token, my spouse might prefer time off rather than additional pay. Dogs differ too. Not all are equally motivated by verbal and physical praise. Many love treats, but some could care less. And there are those dogs that would go through fire to get a ball or Frisbee. Eventually we want our dogs to work for a good duration of time without need for immediate rewards. We want them to appreciate and look for verbal and physical feedback. And we want to build in intrinsically rewarding behaviors like the ability to go retrieve the bird when told, or run with abandon and chase the squirrel if you have permission. To have an enthusiastic, long working dog we have to help the dog understand there is a pay off coming. The question was posed to me during a video shoot of what I mean when I instruct people to "pay the dog." 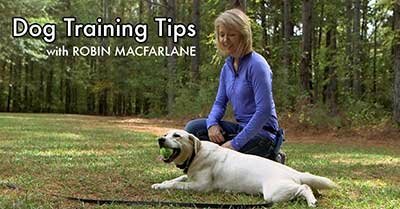 It is one of my Robin-isms that I use to mark a reward opportunity when I am coaching people on how to train their dog. In the beginning phase, I encourage people to pay frequently. As the dog gains understanding we wean back and become more random with our "paychecks." In the professional trainer's lingo, we're talking about the frequency and ratio of reward schedules, but I hate getting people lost in training lingo, so I use words that don't take effort for even children to understand. I was taught by an early mentor to "keep it simple" and I think it is what works best. So keep it simple. Pay your dog. Pay with whatever the dog likes: food, toys, play, opportunity to retrieve, a good belly rub, some freedom to run. Mix it up, whatever the dog likes, but pay him. Frequently in the beginning stage and more randomly as you increase understanding and reliability. Next Article: How to Strengthen Your Dog's Understanding of "Stay"
Pull-Quote= Does your dog deserve a paycheck?